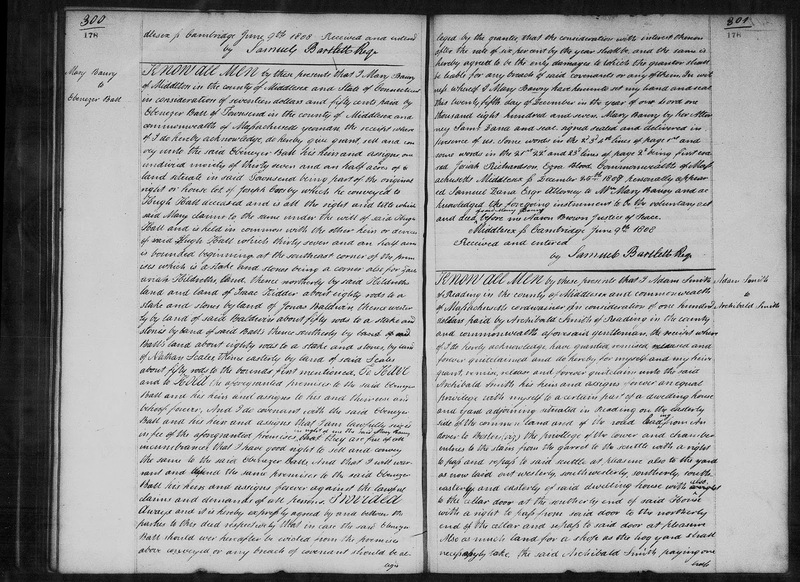 Genea-Musings: Amanuensis Monday - 1835 Deed of Samuel Warner to Zachariah Hildreth in Townsend, Mass. 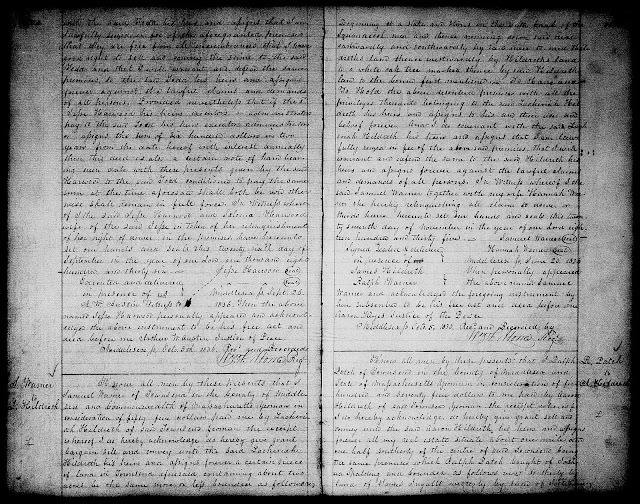 Amanuensis Monday - 1835 Deed of Samuel Warner to Zachariah Hildreth in Townsend, Mass. acres be the same more or less bounded as follows viz. Aaron Keyes Justice of the Peace. "Massachusetts, Land Records, 1620-1986," digital images, Church of Jesus Christ of Latter-Day Saints, FamilySearch (https://familysearch.org : accessed 2 February 2019), Middlesex County, "Deeds, 1836, Vol. 356-358," Volume 357, pages 84-85 (image 320 of 561), Deed of Samuel Warner to Zachariah Hildreth, executed 27 November 1835, recorded 5 October 1836. This deed is for two acres of land in Townsend on the south side of the Squanacook River and bounded by other land of Zachariah Hildreth. Zachariah paid 55 dollars in 1835 for this piece of land.